When the weather starts to turn, the wardrobe pieces tend to change out. Chilly, rainy days call for fall boots. Available in many ecofriendly options they can also come with top prices, especially if you are purchasing them right before the season starts. The following do it yourself versions are near comparable to the upscale ones, only these won’t leave you penniless. Sweater boots are a comfortable go to, but this relaxed look can set you back budget wise. This style from Woolby & Co. is made from recycled materials like sweaters and jackets. However, making your own sweater boots costs a fraction of the price and can be done using your own recycled finds. 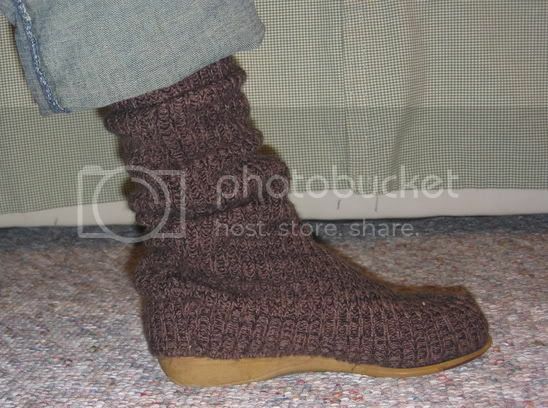 This post on craftster.org shows how to make them yourself with old shoes and sweaters. Another great craft idea is from My Healthy Green Family. By taking only second hand shoes, sweaters, shoe glue and reused buttons you can have a completely inexpensive pair that looks just as good as the store bought variety. These vegan, over the knee faux leather boots from Compassion Coutureshop are an example of a basic black high boot. Staple items may get a lot of wear throughout their lifetime, but if you don’t want to spend the bills try upcycling an old pair. Try making your own pattern for imitation over the knee boots. Using an old leather skirt or similar material and a long zipper or other closure, a tailor made boot top can be worn over a matching shoe. It can also be permanently attached to another pair by stitching or applying fabric glue and binding. Also, recycled leathers and buckles from other shoes can be reprocessed and combined with old wears or thrift store clothing finds and fashioned into new boots. To keep leathers or faux versions looking new and protected try a homemade, all natural leather balm. This recipe from humblebee & me uses beeswax, cocoa butter and almond oil for a chemical free coat, just be sure to do a spot test first. Also, storing boots upright keeps them crease free and off of the floor. These homemade boot stuffers will keep boots in shape while they are not being worn. Don’t spend money if you don’t have to, even on socks. 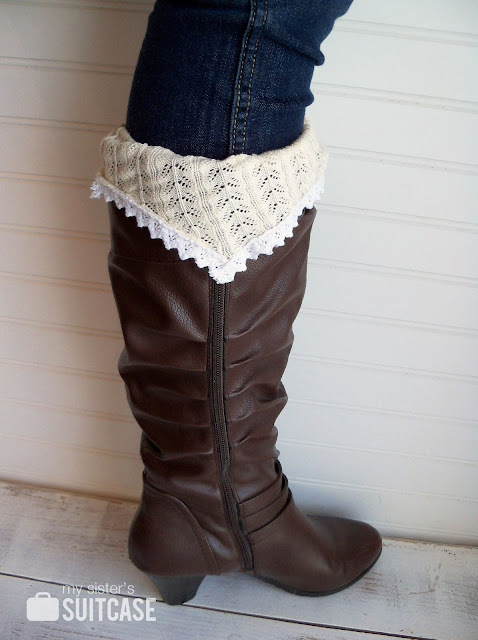 Long, cute boot socks made from old sweaters or shirts are a cinch with this tutorial. Upgrading your fall fashions doesn’t have to mean going broke all season just to keep your feet dry and warm.